This is a simple and sleek mirrored table lamp. The design of the frame of the table lamp is stunning. It has a curved design on the bottom of the lamp which is then filled with detailing in the middle. 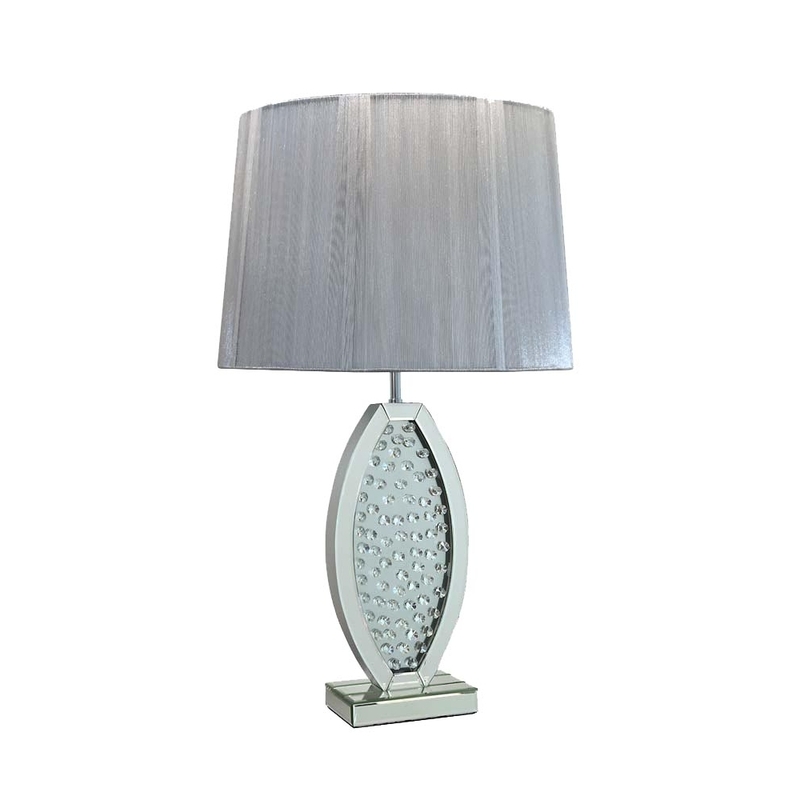 This is a lovely mirrored table lamp which has a crushed diamond effect in the middle and features a silver shade. This could be a great addition to your home.